Everybody knows that we always find the best friends in high school. And I'm lucky to say that almost all of my closest friends I have made in the two last years in high school. Yesterday was Laima's birthday and in 4th of November was Santa's birthday and we had a little party together. Most of them are going to university and studying hard or the ones who doesn't study are working hard so we don't have so much time to meet each other anymore, that's why I think party's like this is just what needed. It was really nice to catch up with everyone who I haven't met from summer. To talk about important tings and not that important. Joke around. 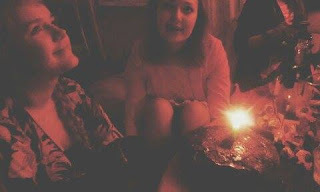 I want to tell you the funny story behind the birthday present for Laima, because it's a really funny story. So I think the reason why it was so hard was that I knew exactly what I wanted to find. And now to the details. 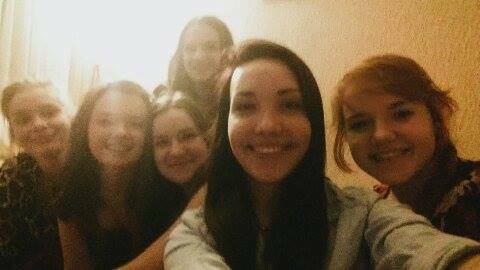 Me and Laima are fangirls (not the crazy ones who knows EVERYTHING). So basically when I was in London Laima asked me to bring her Niall from One direction.But it didn't go well...he didn't want to get in suitcase JOKING. So when I got back and I knew that I need a present for her, I thought that I will find her a Barbie Ken which is blond so it looks more like Niall....but basically our toy shops and toy makers things that girls only need to play with Barbie dolls and they don't need Ken's. I seriously spent like two hours running from one toy shop to other to search for Ken. When I understood that I will never find one (I even thought if we have places where the original One Direction toys would be...of course we don't have) I gave up. But I did find something even better. I found a One direction dress up book. Seriously that was even better than the doll. So I thought that the theme for her present will be ''Forever young'' I bought her also a tea...yogi tea with cinnamon and other things that smells like Christmas and is called ''Forever young'. And this dress up book...like who didn't love those kind of books when we were little and who doesn't love to get such a book with One Direction. For Santa's present it was much easier, because I knew I want to get her something from ''Stenders'' and I got her a bath salt...it smelt so good. And then I got her coffee liqueur...a much more serious present because she turned 20 haha. Let's not forget the drinking games. This was my first time playing -Never have I ever and honesty this is really fun. Specially when you start to lost the count of the glass you have had. This is honestly funny game...starting with Never have I ever made fun of cats and ending with Never have I ever wore thong. And then the judging looks when you have done it. I had to drink the whole glass twice....consecutive. But honestly I think this is the only game where you are actually glad that you lost......maybe if you don't lose all the time haha. Laima and Santa making their birthday wishes. We had a very very delicious chocolate- apple cake, which was super duper delicious. Just I was so full already that I couldn't finish my piece. But it still was the best chocolate cake ever. 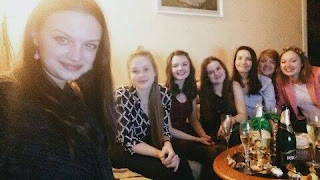 This was honesty one amazing night with a lot of laughing, our inside jokes and many many more good emotions. Actually I am out of words right now, because I'm still filled with all the good emotions from yesterday. There is something about our meetings that makes me love my friends even more and makes me really happy to have you all. 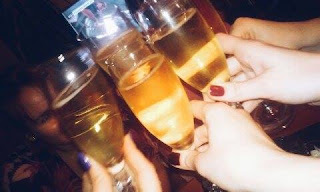 Cheers to the girl's night's like these and to the birthday girl's. I hope you both are feeling great!! Christmas feeling in the air. A place for a good coffee and good conversations. 15 movies I watch again and again.